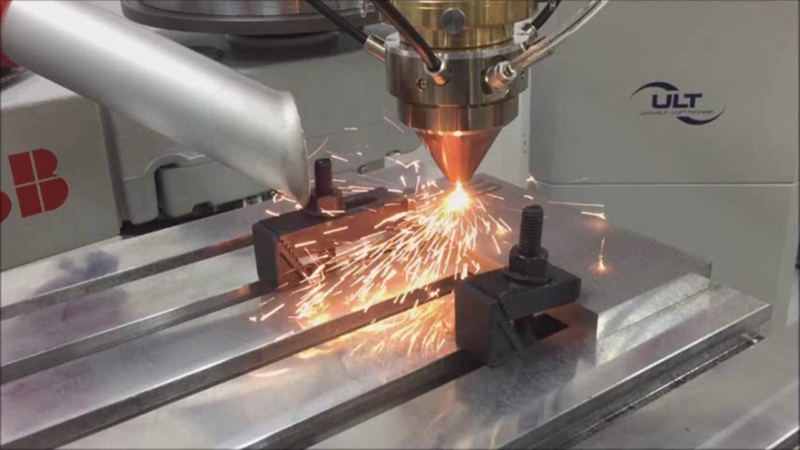 RUAG Australia is collaborating with leading Australian researchers on a two-year project aimed at investigating the use of laser metal deposition (LMD) – an additive manufacturing process akin to 3D production technology – for aircraft repairs. Led by Professor Milan Brandt from RMIT University, the research team believes LMD to be a viable method for both manufacturing spare parts and repairing existing parts, where the repaired part is just as strong as, or in some cases even stronger than, the original. Mr Brandt said the team – which also includes experts from the Innovative Manufacturing Cooperative Research Centre (IMCRC) – is evaluating expectations that LMD technology will effect real cost savings in the areas of maintenance and spare parts purchasing, scrap metal management, and warehousing and shipping costs. “LMD is basically a very high-tech welding process where we make or rebuild metal parts layer by layer,” the Professor continued. Neil Matthews, Senior Manager of Advanced Technology and Engineering Solutions, RUAG Australia, said that considering the estimated total cost of replacing damaged aircraft parts for the Australian Air Force alone is currently at more than $230 million a year, the move to locally, additively manufactured components would have a significant impact. “Strategically speaking, a shift to LMD technology means less downtime for repairs and a dramatic increase in the availability and readiness of aircraft,” Mr Matthews explained. David Chuter, CEO and Managing Director, IMCRC, said the technology could also be applied in any industry where metal degradation or remanufacture of parts is an issue. “The current project focuses on military aircraft and it is potentially transferable to the civil aircraft, marine, rail, mining, and oil & gas industries,” Mr Chuter noted.